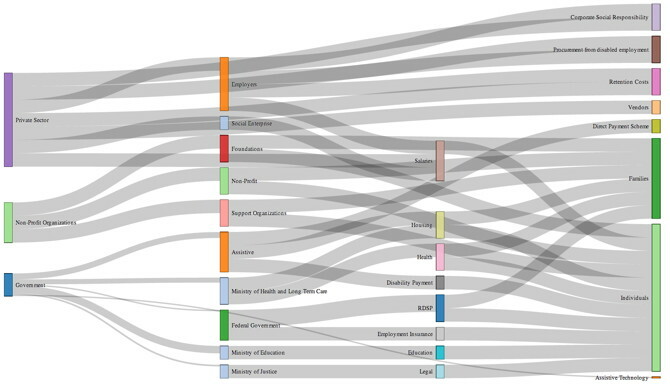 A Sankey diagram demonstrates this well. You can easily see where the money is coming from, who the ultimate beneficiaries are, and what intermediate steps exist. A coherent structure is created which aids the user to understand, organize and remember an otherwise overwhelming amount of information. This entry was posted in Design and tagged design, Information Flow. Bookmark the permalink.